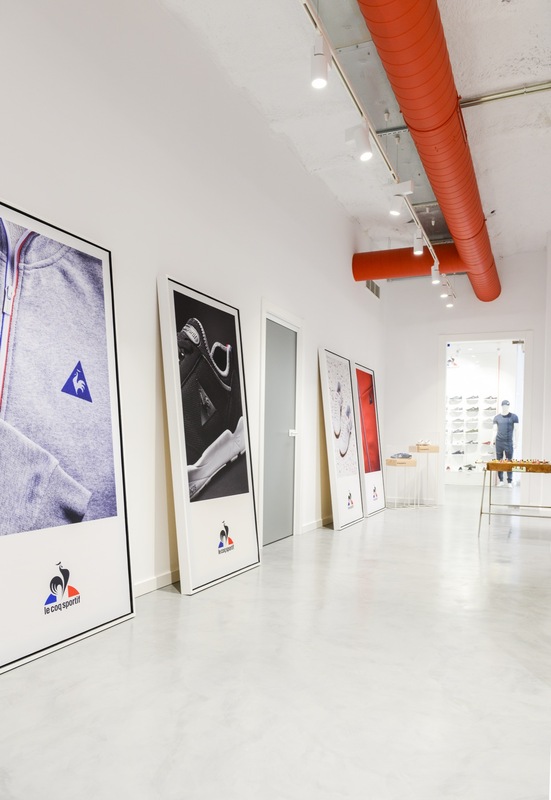 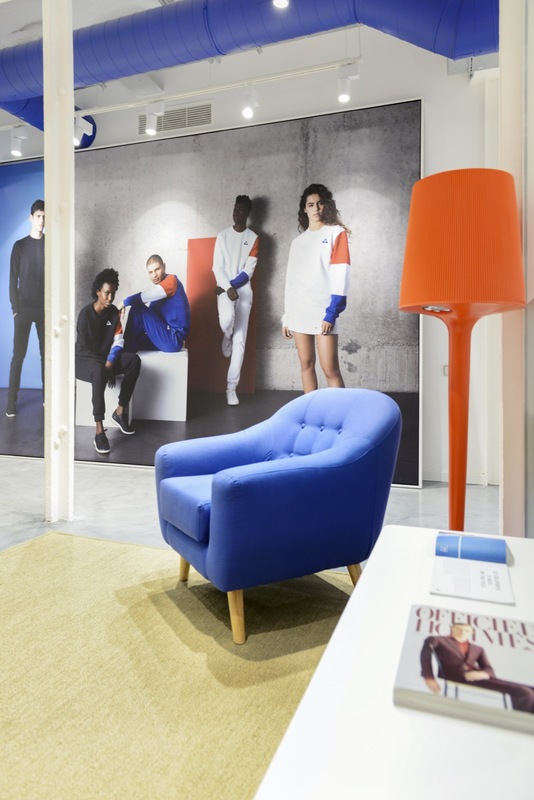 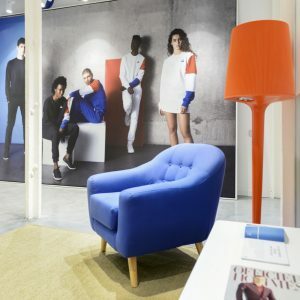 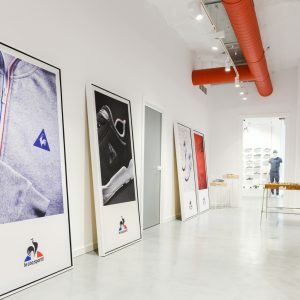 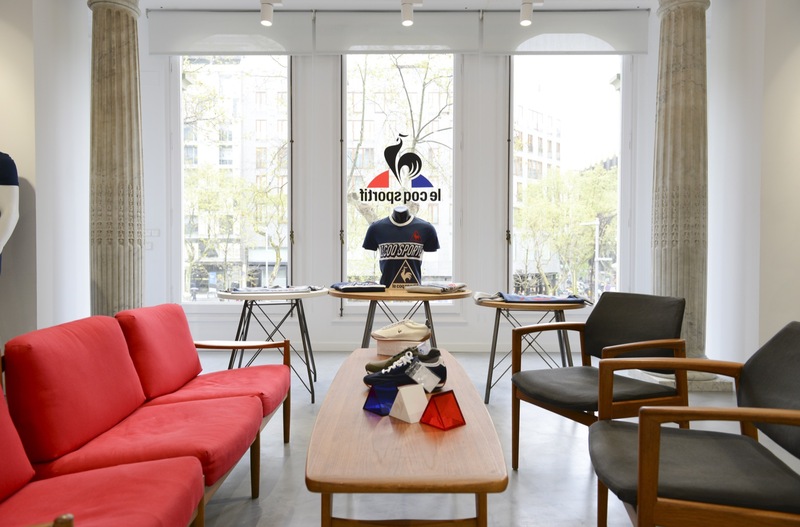 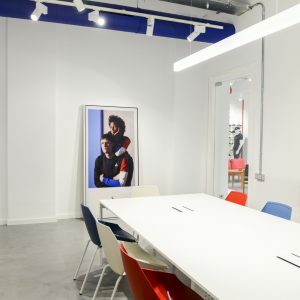 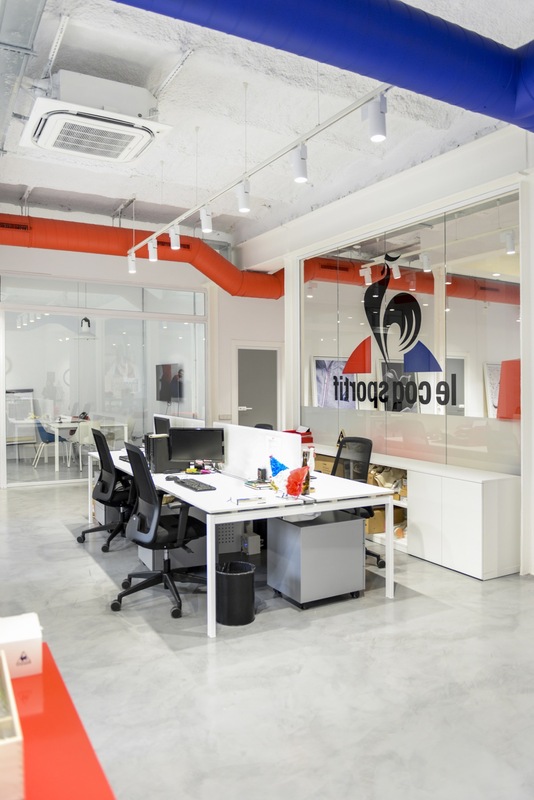 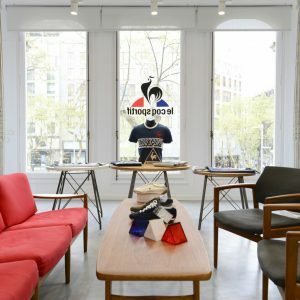 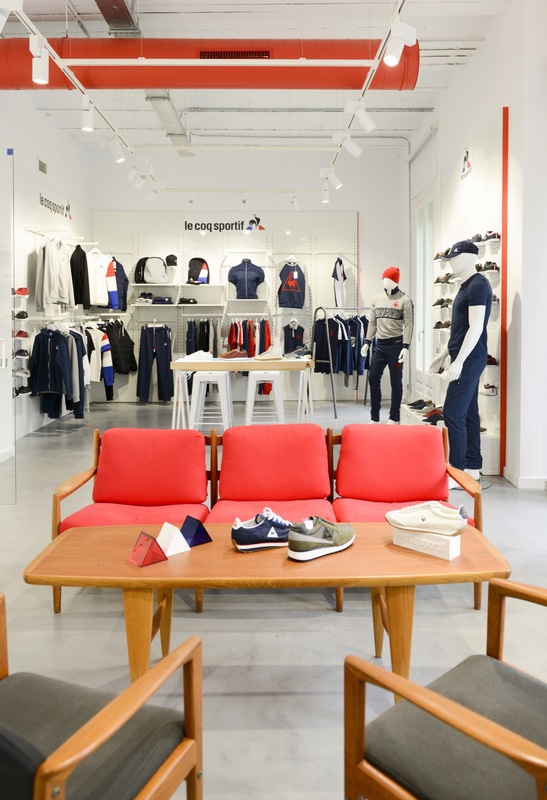 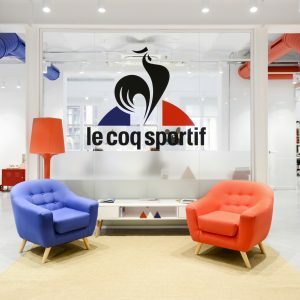 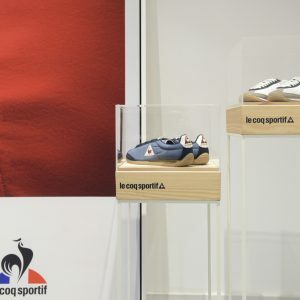 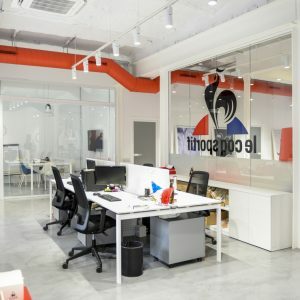 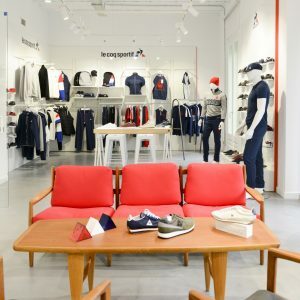 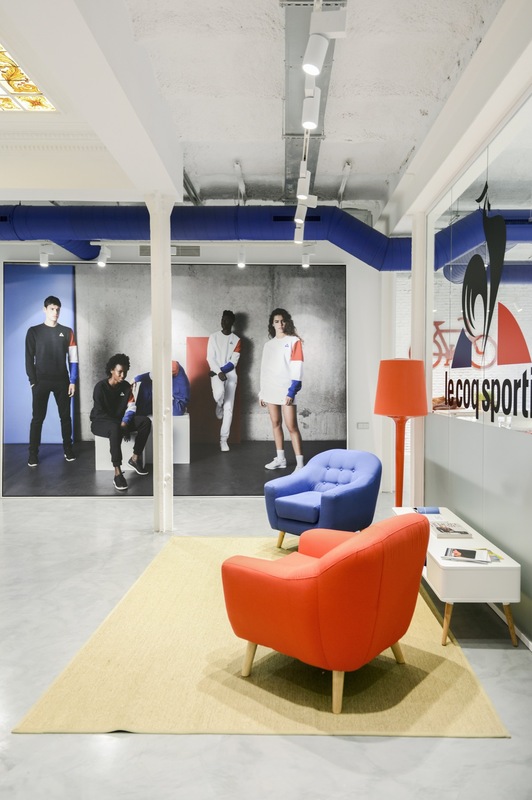 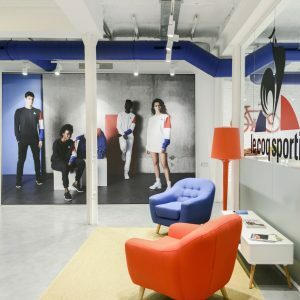 The new showroom and offices of Le Coq Sportif are located in the heart of Barcelona, with an unbeatable location in Paseo de Gracia. 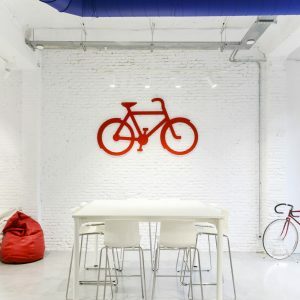 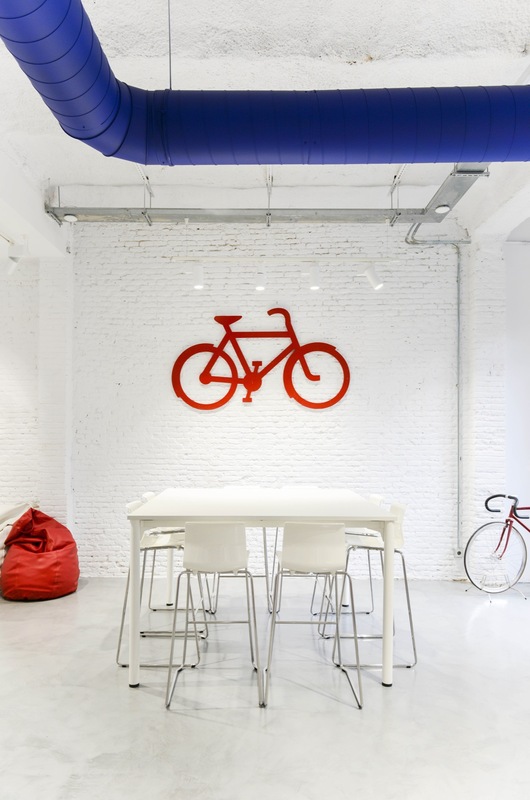 With an area of about 400 meters, the new headquarters emanates pure corporate identity. 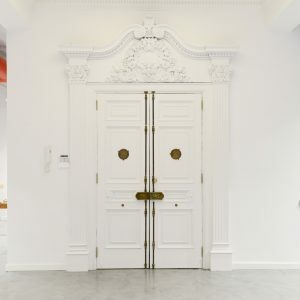 Interior design remains true to its brand philosophy. 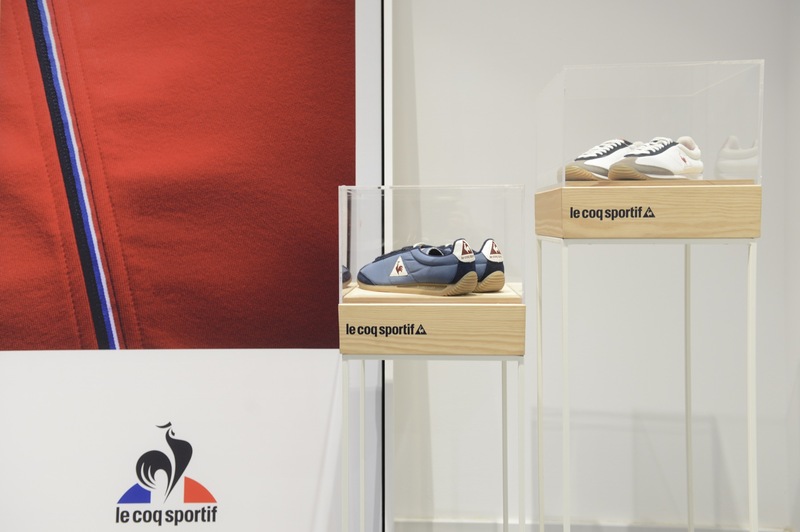 With a simple and timeless design, proud of its heritage and history in the world of French sport. 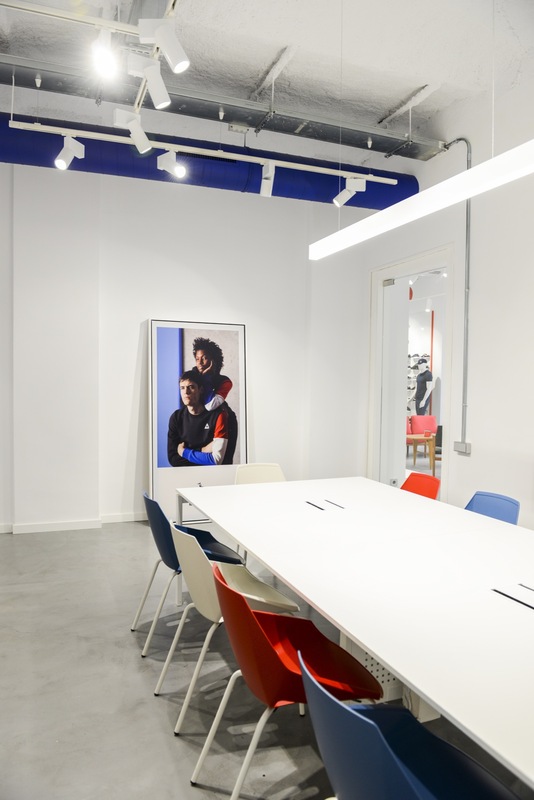 The blue and red of the air ducts are the protagonists, invading all the rooms with their vivid and identifiable tones. 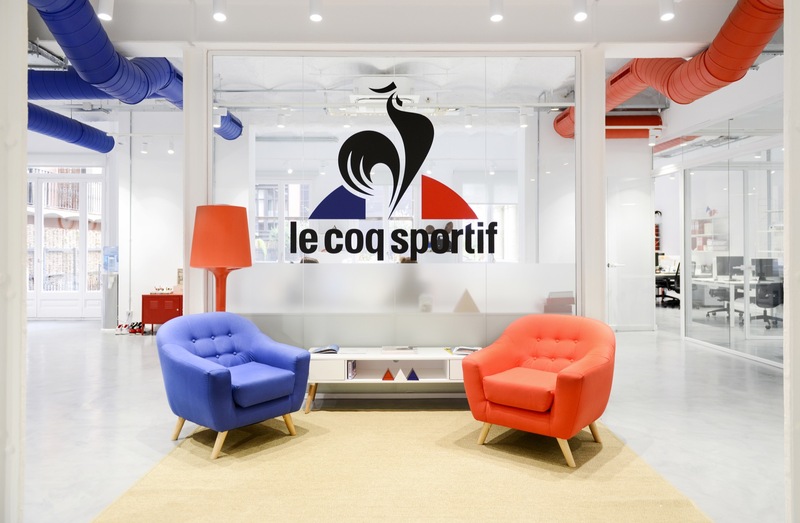 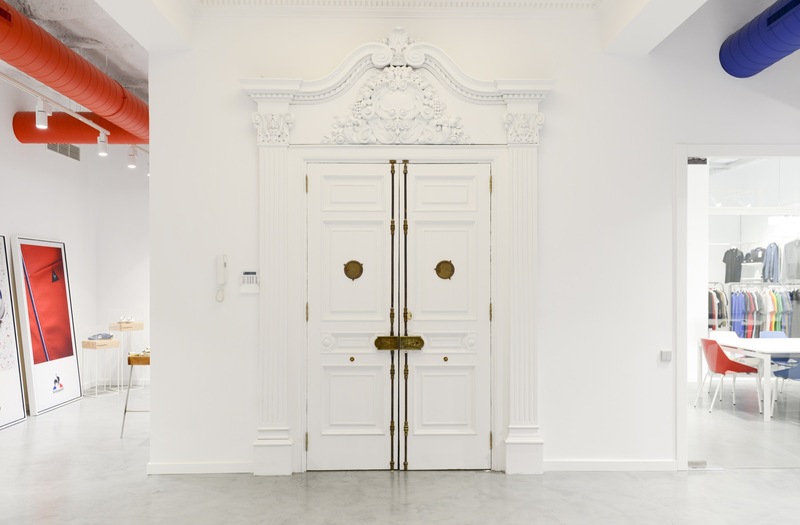 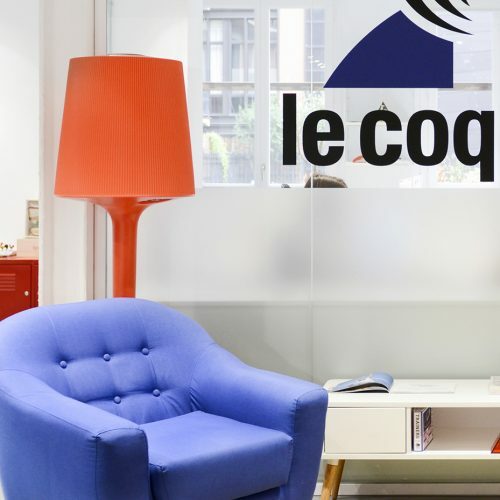 Thanks to a white and neutral wrapping, it turns this space into pure simplicity and Le Coq spirit.